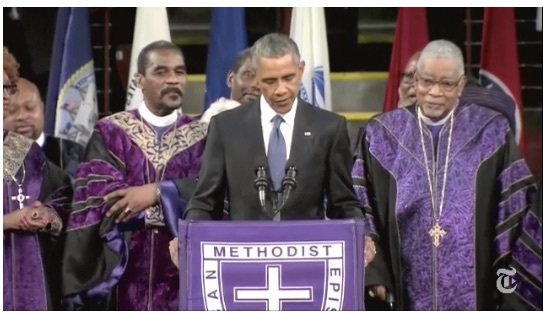 Not once, but twice, in the same day — June 26, 2015. Remarkable in their source and reach. Both from branches of government, both achieving a level of eloquence and a depth of passion that we rarely hear. Both provide brilliant examples of expression, persuasion, and ultimately, humanity. Both gave me a feeling of being a witness to history, both brought me to tears. Powerful words always touch the emotion. As a communicator, I learn from the powerful words of others. These two examples hold spots in history and will long be examined and reviewed for the source of their power. See the video at The New York Times. 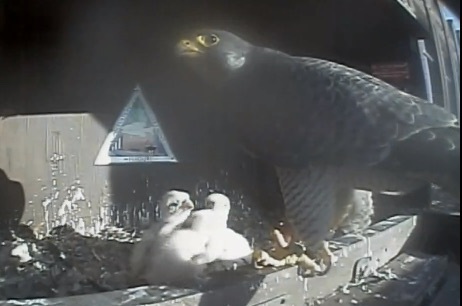 Thanks to a video cam feed of a nesting box on the 14th floor of a nearby office tower, I have become a spy in the home of a falcon family. Surveillance has not entirely taken over my life, but I do check in on the family in between tasks, a bit of a treat or reward after completing a task. I am intensely curious and filled with anticipation when I click over to the site. I’m often startled when immediately the adult falcon sharply turns to the camera. Her gaze is direct and piercing. Of course not; but then again, is there a falcon sense of knowing when it is being watched, even through an electronic device? Could this be part of the falcon umwelt? Macdonald brilliantly explains the challenge of trying to understand what another creature experiences — seeing things humans cannot, comprehending the world in ways we cannot. 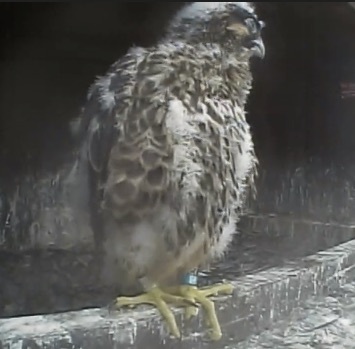 So I imagine that my falcon family, or at least the adults, can sense when they are being seen and not just that they are being videoed and streamed into the worldwide web. If she can sense me, perhaps she can also sense my admiration and goodwill — love — for her and the family. I check in on them during storms, relaxing to see a parent standing guard through thunder, lighting and fierce winds. I’m anxious during feeding — are all four getting enough? I am calmed and contented afterwards when I see the four nestled together in deep sleep with their bellies full. I gasp when they bumble toward the edge of the nest, fearing for their safety when a parent is not in the box. I see them changing, day by day growing stronger, more defined as falcons. Someday soon — likely within two weeks, according to other watchers — I hope to see how they will learn to fly. I will be watching for the day when the young falcons sense me in the camera. I got to shake hands with Jack and Suzy Welch last week. It was part of an event in Kansas City that gave the two of them a chance to share their perspectives on a number of business topics while promoting their new book, The Real-Life MBA. Jack Welch is best kn own as the former chairman and CEO of General Electric; he was once named “Manager of the Century” by Fortune magazine for his innovative management techniques and GE’s epic revenue growth. His current passion is to change the model for business education — he is operating the Jack Welch Management Institute, an accredited online MBA with 900 students. He and Suzy gave lively responses to questions posed by my friend Vivien Jennings of Rainy Day Books. Jack spoke in a scruffy, cracking voice, often chuckling, and speeding up as he got excited. He’s frequently described as passionate, competitive, fiery — and all that was apparent in his comments. Welch says its the responsibility of the boss — and the moral obligation — to be truthful with employees. You have no right to call yourself a manager if your employees are wondering where they stand with you. Characteristics of a leader: Welch says the best leaders think of themselves as the Chief Meaning Officer, the guy who talks relentlessly about meaning, giving the employees something bigger than themselves. He ranted a little about the budgeting process in most corporations, “a conjure” that’s mostly meaningless and leads to bad behaviors — lowering expectations so that it will be easier to exceed them. He calls for transparency and candor, in part because everyone already knows most of what’s happening behind the scenes anyway. Just drop the spin, give truth only. I haven’t finished the book, but I can tell you it reads like he talks: directly, openly, with real-life stories that everyone can recognize from dysfunctional organizations or situations poisoned by bad behaviors. I’m giving it two thumbs up its emphasis placing TRUTH at the center of its guidance on how to succeed in the business world. Thanks to Country Club Bank and Rainy Day Books for the event and the opportunity to participate. Ever since David Eagleman made me aware of my umwelt, I wanted to expand it. “Umwelt” is one of those strange and appealing words that sounds slightly unsavory, a bit dangerous. It describes the surrounding world, or as Dr. Eagleman explains it, the bubble of the world that each of us is capable of sensing. Our umwelts vary. For example, humans and animals have different experiences of the world. He notes that bloodhounds have a superior sense of smell; the bloodhound umwelt is much richer in its olfactory experience than the human umwelt. The bloodhounds might feel sorry for us with our inferior sense of smell; but as humans, we don’t know what we are missing. It’s not an absence we notice. In the same way, Eagleman explains, humans can only perceive a small fragment of the energy spectrum. We can see a rainbow of colors, but we don’t perceive ultraviolet light or x-rays or other wavelengths. We don’t even know what all is out there because we don’t have senses to detect it. Our umwelt is limited to what we can experience; we don’t miss these other experiences because we don’t even know that they are there. Eagleman and others are now experimenting with ways to expand our senses. The work is fascinating and a bit mind-blowing, pulling on new monitoring devices, data feeds, and wearable sensor technology. Eagleman’s work involves using wearable sensors as a new interface — electromagnetic sensors on human skin. The skin feels the impulse and relays the sense — data — to the brain, which learns how to process it. An unrelated study in Japan, researchers gave blind rats a neuroprosthesis that fed geomagnetic data into the rats’ brains. Within three days, the blind rats were able to navigate mazes as well as normal sighted rats. “We were surprised that rats can comprehend a new sense that had never been experienced or ‘explained by anybody’ and can learn to use it in behavioral tasks within only two to three days,” the researcher said. Eagleman postulates that interfaces could take vast data feeds — like from the cockpit of jet or from a systems operations center. One could learn to discern abnormalities and detect issues that arise from the patterns in the data flow. It could be that you hear the data, or you feel it on your skin, or you taste it… you sense the health of the operation. Bring it on! I want to try this. What are the other colors? What are the other feelings? What are the other dimensions? Will this lead us to understanding the spiritual world better? Will we experience the multitude of parallel worlds postulated in string theory? What are the other experiences that are just waiting for us? Sadly, like the human who can’t conceive of the richness of the bloodhound’s olfactory senses, I can’t imagine what I’m missing. Thanks to TEDxKC for the simulcast from Vancouver. 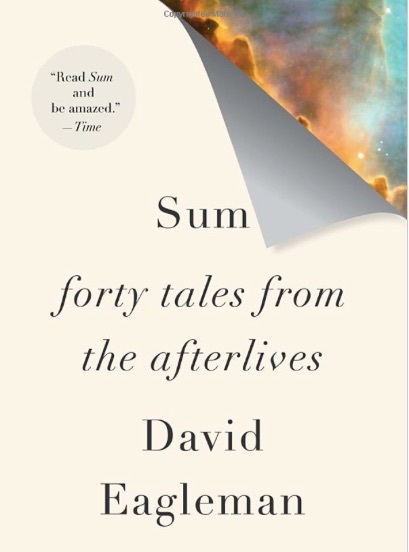 I first encountered Eagleman through his book, Sum, Forty Tales from the Afterlives. More on Eagleman at his website: http://www.eagleman.com. More of his discussion of the Umwelt in an earlier piece on The Edge. For women in business, there is a continual dilemma: How can one fit in well enough to be accepted, yet stand out enough to be uniquely valued? Ellen Pao’s gender discrimination lawsuit against Silicon Valley’s Kleiner Perkins Caulfield & Byers unveils some of the inner workings of a highly respected venture capital firm. There’s an uncomfortable familiarity in the riveting testimony about the divergent perspectives of Pao’s performance and attitude. She had positive evaluations, yet she also was described as aggressive (when she wasn’t being meek), uncollaborative and unlikable. And, closer to home, the real dollars-and-cents impact of this is visible in the Women’s Foundation’s compelling research showing that women continue to earn significantly less money than men for the same positions. On average in the state of Missouri, women earn 71 cents for every dollar men earn. How are we to deal with fitting in, standing out, and being likable? It may be easier to figure out how to fit in and stand out than to solve for likability. Fitting in: For example, to fit in, one strategy is to start by wearing the same uniforms as the rest of the team at the table. In most cases, it’s men in dark suits at the table. So wear a dark suit. Betsey Solberg of Fleishman-Hilliard made this point at a recent gathering of the Kansas City chapter of the International Association of Business Communicators. She was wearing a black suit with a bright scarf (see photo), and noted she has about 14 others in her closet, that dark suits are about all that she wears. This isn’t blind conformity or denying a personal style; it signals professionalism and removing yourself from being the topic of the conversation. Standing out: So enough about fitting in; how about standing out? All of us want to be a part of the team, but also to stand out apart from the rest of the team. My choices for standing out call for demonstrating service and intellect, and building trust. Service is an old-fashioned and little-used word at work, but I think it needs some additional attention. Service can be leadership; it is an attitude and it always is honorable. One who focuses on serving others — the team, customers, mission —will always be more valuable than the one who’s working her own agenda. Another way to stand out is intellectually. Be smart, knowledgeable, and have the data to back up your insights. And there’s no replacement for trust, in any setting: Always stay true to your word; be the one who can be counted on to help solve problems. Likability: But solving for likability? I’d rather remove it from the equation. You can’t make people love you. It helps me to remember that the only thing I can control is myself. Focus outward: Start with basic human respect for others and work on ways to help others (service). And then hold yourself — and others — accountable for fairness in how we treat each other. Apply fairness to men and women, all positions, incomes, ages, races, religions, preferences, capabilities, etc. Remove likability from the equation — you don’t have to like someone to treat them with respect, with fairness. The poet is a young man, what is called a “millennial” these days. He walks onto a sparse stage, alone, carrying a backpack. He begins hesitantly, awaiting the inspiration of the muses to guide him. At first, it’s a little awkward for us around him. What is he doing? He appears self-conscious before all of us, we who sit and judge. He persists and slowly his presence and manner feels less contrived. He overcomes his vulnerability; or maybe we accept his vulnerability and generate compassion toward him. We listen, and he becomes passionate about the telling of his story — one of the oldest in the world. It’s a vivid modernist retelling of The Iliad that has me musing about the power of stories. I think stories are like evidence of quantum theory. When you listen to a story, your brain acts as though it is experiencing the story firsthand. The words and voice stimulate neurological behavior identical to the actual experience. An action in one dimension creates a reaction in another, a connection somehow, across time and space. Our brains behave like participants, rather than spectators, during stories. The words we read or the voices we hear become neurological impulses and trigger chemical reactions — we feel the story in emotions. That’s why we remember stories better than lectures, that’s why scientists say that humans are wired to tell stories. Stories are the way inside the mind, and also, in business, the currency of marketing. Social media flourishes because it feeds storytelling of the most personal kind, and we can’t resist. We are vulnerable to stories, we say they touch our hearts, but truly, they invade and infect our brains. Back to the performance: The poet was telling essentially the same story that survived as an oral tradition for hundreds of years — perhaps thousands — before it was ever written down. It is a story so important that it had to be shared and kept alive; people dedicated their lives to telling this story. And now, this young man joins their ranks. Brilliantly. I’m grateful that this tradition persists. I’m grateful for the performers like the poet, and for storytellers in general, whether in book, prose, song, video, or today’s interactive digital media. Ones and zeros, voices in the dark — as long as we are telling stories, we are figuring out how to make sense of our world. We are showing that we are human, and there is hope for us to learn new stories. I have been thinking of my family lately. In my mind’s eye, younger sister is at the center and she is represented as the tree. The rest of the family, my three brothers and I, are in a circle around the tree. I have written of my sister before. She has Down Syndrome, and at 51, she has had many remarkable adventures and experiences: success as an artist, competing as an athlete in Special Olympics, a 25-year career with a public library, international travel, a love of dining out and trying new foods, the companionship of many friends. And from most who know her, a constant love. The role of the siblings around her has changed over time. When she was very young, we provided nurturing and guidance and room to grow. Later, we celebrated her successes and delighted in her joy. And now, as she is declining, we stand to support and cherish her. We who make up the circle have grown closer together by her presence. She is the center, the focal point of the family, our reason for connection. We have also become better, stronger people because of her. She taught us patience and tolerance, how to laugh and take risks, how to really know joy. These days, after her latest setback (a result of seizures and diminished brain capacity), we gather around her even more tightly and tenderly. We struggle with her struggles, but I —we— will not mourn what is lost. We will celebrate what exists in her still — the essence of her beautiful spirit. I see her earliest mannerisms, they way she brings her hands together and twinkles her fingers in joy. She laughs and giggles. She still tells herself stories, making sense of her world as best she can. She still is attracted to art and wants to create, she tries to establish her process. She still loves all those around her. Her core is unchanged. We know she will lose more of her physical and mental abilities. We know that ultimately we will lose her physical presence. But I now realize that I do not need to feel less loved. All her love, her essence, does not change. 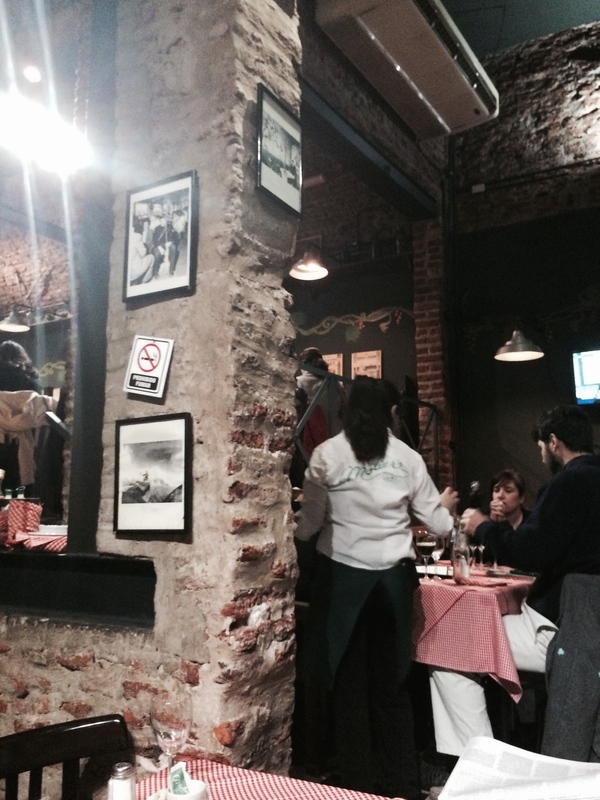 A few weeks ago, my true love and I were in Buenos Aires. We had been walking that beautiful city, exploring parks, shops and the La Recoleta cemetery (4,800 exquisitely decorated vaults and home to a colony of feral cats!). It was a pleasant day, but when a sudden rain shower threatened, we ducked into what promised to be a lively cafe. It was bustling and noisy. It was a multilevel cafe, with tables spilling out to the sidewalk and inside. Beyond the inner tables was a broad stairway to a second level that contained the bar, kitchen and additional tables. The crowd was diverse. There were older patrons leisurely sharing a bottle of wine, perhaps regulars. Nearby was a large loud table of young men and women, in jeans, with a pile of backpacks nearby. There were several small tables of executive-looking men and women in office attire — suits and ties, skirts and high heels — ordering quickly, likely from the nearby commercial district. And us, comfortable and happy to be there. Nearly every spot on the walls and pillars was decorated. Most of the decorations were from a bygone era — flamboyant, gaudy, eccentric advertisements for soft drinks or fragments of pop culture images like Elvis Presley. I was happy that our corner featured works of Robert Doisneau — the famous kiss, boy with baguette and so on. It made me laugh at its absurdity and brilliance. I was swept away imagining the sounds of the lone cello, the music that only the mountain could hear, the poignance of the act and the commitment of the cellist. I remember taking my love’s hand, caught in a moment of happy emotion. Later, haunted, I researched the image: this was one of a series of photos of Maurice Baquet by Robert Doisneau. The two were friends and shared a joie de vivre, a spirit of playfulness that feels so very French to me — one of the reasons I love France and its people. Maurice was an accomplished cellist as well as a member of the 1936 French Olympic Ski Team and an expert mountain climber. The amazing photo was taken at Chamonix; I also found a lovely interview with Maurice (posted by his son the French actor Gregori Baquet). While I had trouble following all the details of the interview, Maurice is positively joyous throughout and it is obvious that he loved this act of making music for the mountain. I tell this little story to illustrate the power of communication when it evokes emotion. The photo provided lessons — a demonstration of collaboration, creativity, and taking chances on something that might seem utterly absurd, all balanced by the incredible planning, the painstaking artistry, the years of practice and preparation that preceded the act. Risks taken over a lifetime created this image — a tribute to the human spirit, absurd and brilliant. 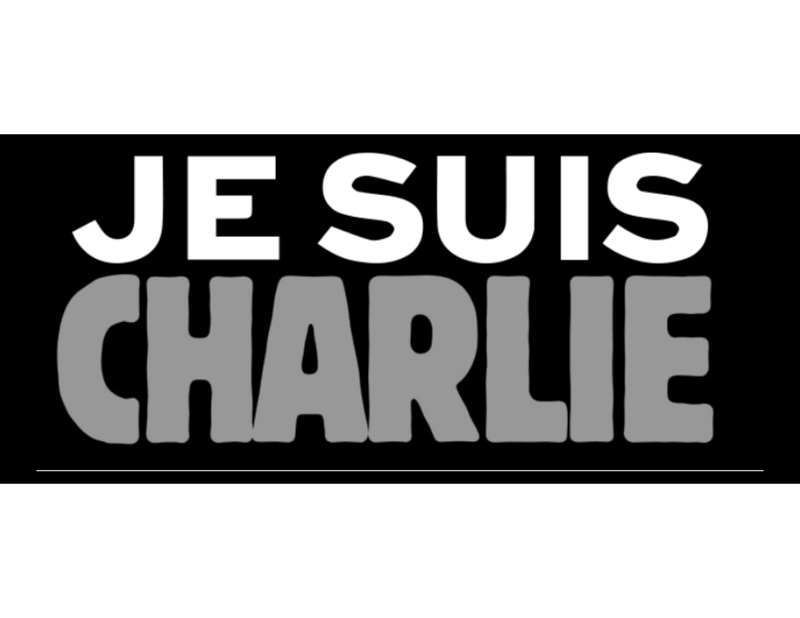 Thanks to Gregori Baquet for sharing the video. Dr. Madeline Albright, former U.S. Secretary of State, was in Kansas City recently speaking to a sold-out audience at the Women’s Foundation annual luncheon. I knew she’d have a lot of wonderful things to say, but I wasn’t prepared for just how impressive and inspirational she was. She was polished and natural, comfortable telling her stories and making strong points based on facts (for example: women are an undervalued resource). Her straightforward approach conveyed power, yet she was also charming. Her diplomatic skills were evident, as was her commitment to service. I had the sense that her commitment was to a service greater than politics. I admire that. I wish it was not so uncommon or old fashioned to see in our government leaders. Taking an oath of office is a commitment to the ideals and principles of democratic governance, by and for the people. It is a commitment to serve the country, and that is a responsibility and a duty that should override any loyalty to a single political faction. Much of her talk, I realized later, was about her personal journey and the process of developing a voice. She told of the first time she entered a room as the Secretary of State with a roomful of men, and how she planned to spend the meeting listening and absorbing the situation. But when she sat behind the microphone labeled “United States of America,” she realized she MUST speak. She may not have felt ready, but it was her duty and that gave her confidence to act. In both, there’s a sense that perfecting a voice takes time and courage. Thanks to the Women’s Foundation for this extraordinary event.